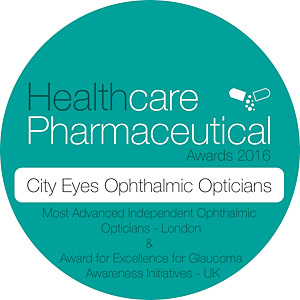 City Eyes Ophthalmic Opticians provide assessment and products especially for computer users. Computer Vision Syndrome (CVS) is a term that describes eye-related problems and other symptoms caused by prolonged computer use. As our dependence on computers continues to grow, an increasing number of people are seeking medical attention for eye strain and irritation, along with back, neck, shoulder, and wrist soreness. Eye strain symptoms are more noticeable with computer tasks than other close-up work because letters on the screen are formed by tiny dots called pixels, rather than a solid image. This causes the eye to work a bit harder to keep the images in focus. At City Eyes we test your vision using the PRIO Vision Tester, a ground-breaking piece of equipment in the diagnosis and treatment of CVS. The PRIO Vision Tester is a medical device that duplicates the pixels of a computer screen. In the exam chair, a PRIO-provider eye doctor can determine the most accurate prescription based on the PRIO exam and on the tasks you perform at the computer each day. This PRIO computer prescription is what makes the real difference in computer eyewear.